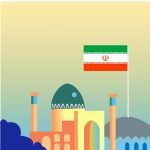 In recent years, many Russian entrepreneurs have turned their attention to the Islamic Republic of Iran. The oil, textile, food and metal processing industry is quite strong in Iran, and so reveals a huge potential for cooperation with this state. Shipping to Iran became more demanded for our clients. Shipping of goods to Iran has a number of specific features, so without the assistance of trained professional problems may occur. The company «Customs technologies» has wide experience and many years of collaboration with CIS and Europe customers. Our stuff will help to choose the best way of transportation and the optimal route so as to organize transportation to Iran with the maximum benefit and minimal time loss. Depending on the volume of deliveries, urgency and budget, transportation to Iran can be carried by road, sea or air transport. Also available multi-modal delivery, as well as a consolidated load (LCL service). Out company stuff will help you to chose the most suitable type of transportation. Many companies have already successfully cooperated with us and left a positive feedback about our works. One of the most profitable ways to ship goods to Iran is chartering a ferry Astrakhan — Anzali. Such type of delivery is perfect for those who need to transport large quantities of goods, oversized and general cargo to Iran. transit time from Moscow (with pick up from door) will take 15 days. The service on the ferry Astrakhan — Anzali is the fastest and most profitable way to transport oversized, heavy cargo to Iran. The company «Customs technologies» is pleased to offer its customers not only the best quality of services, but also fair prices for their services. Shipping cost of sea transport mode is very individual and is highly dependent on the volume and type of cargo shipments — please contact us for more information or upon quotation request. The reliability and speed of delivery — no problem! Only professionals can guarantee you that the goods will be delivered in time and successfully pass customs clearance in Russia. Such specialists are working in «Customs technologies». We are professionals and are ready to ensure that transportation to Iran will be done without force majeure and delays.